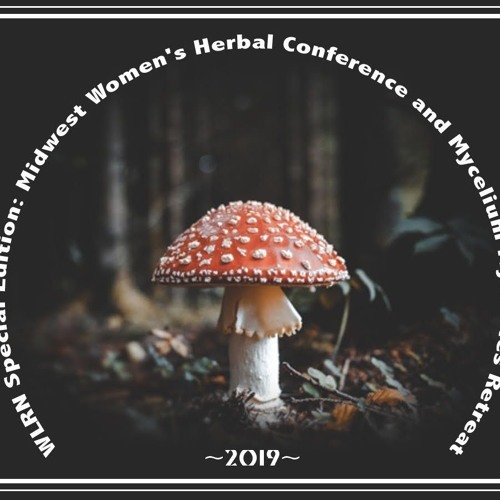 Join us for this program focused on two amazing women's gatherings in the woods of Wisconsin focused on herbs and mushrooms. We interview Linda Conroy, founder of Midwest Women's Herbal and organizer for both these gatherings in nature and in intentional community. You'll also enjoy the words of Barbara Bitondo, Linda's student and an urban herbalist. Dr. Cho speaks with WLRN's Robin Long about mushrooms and her work as a pediatrician. The final interview is with keynote speaker at Mycelium Mysteries Women's Retreat, Katherine MacLean and her work with pslicybim mushrooms, meditation and consciousness. The program is rounded off with Sekhmet SheOwl's commentary about the importance of women gathering in nature and to share plant wisdom together in community. For more information about the two women's gatherings featured in this radio show, go to www.midwestwomensherbal.com. Get your tickets for Mycelium Mysteries by April 1st and you are eligible for early bird pricing. Thanks for tuning in to WLRN. Musical selections by First Aid Kit, Tegan & Sara, Thistle, and Lisa Thiel. Cover design by Natasha Petrov.